If you sold your your parts or found what were looking for you can delete your own post. Here's a video on how to do that and if you still need help or for some reason you don't have a delete thread option I can delete it for you. Just use the "Report Post" feature or send me a PM or email. Note- For some reason some members do not have this option. Most do but you may not. There is nothing I can do about that on my end that I know of so please don't PM or email about it, just send me the link you want deleted. I checked out your video, but I could not see any delete option - either for the message or the thread. Please dlete for me "Help! Starter switch wanted"
Could you please delete this post, thanks a bunch!!!!!!!!!!!! WTB Exhaust Y Bracket and hardware for 2004 Neo. 04,05,06 Retro will work. 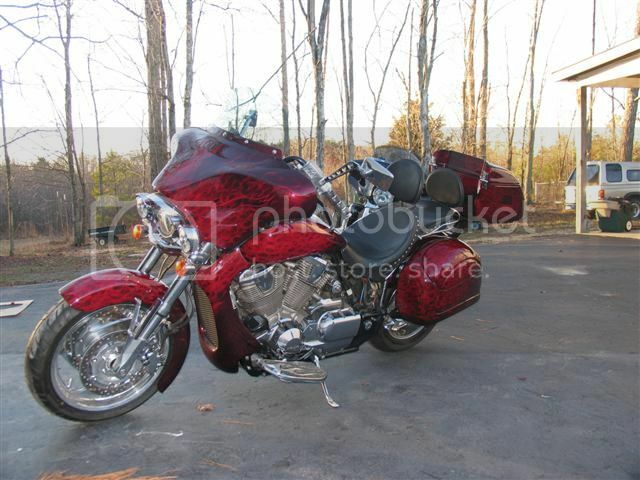 2004 Vtx 1800 Neo, Corbin Bags, Menphase shad, Vines&Hines Big Shots, Kuryakyn color grips, Vista cruise, chrome clock, Hondaline Luggage rack and Back Rest. Corbin duel tour seat, progressive springs.